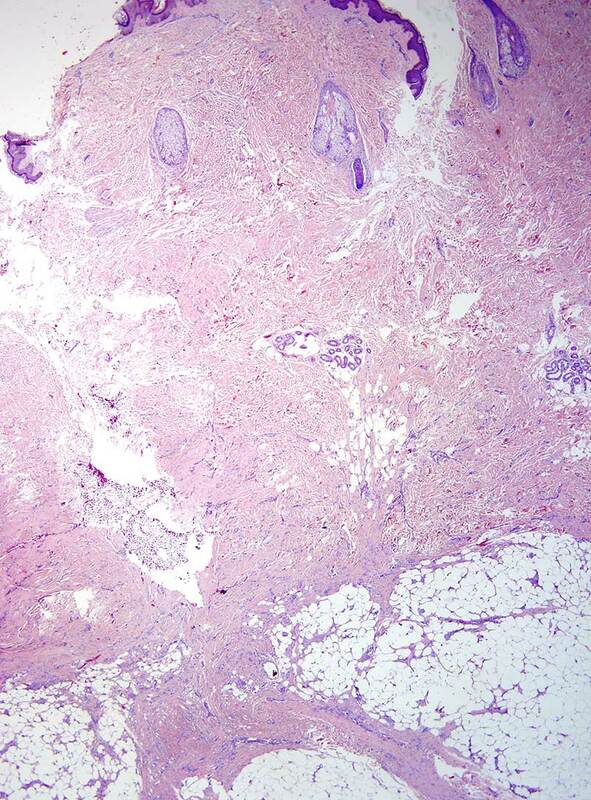 There is a considerable overlap morphologically and even from an ontogeny perspective with a cellular neurothekeoma. 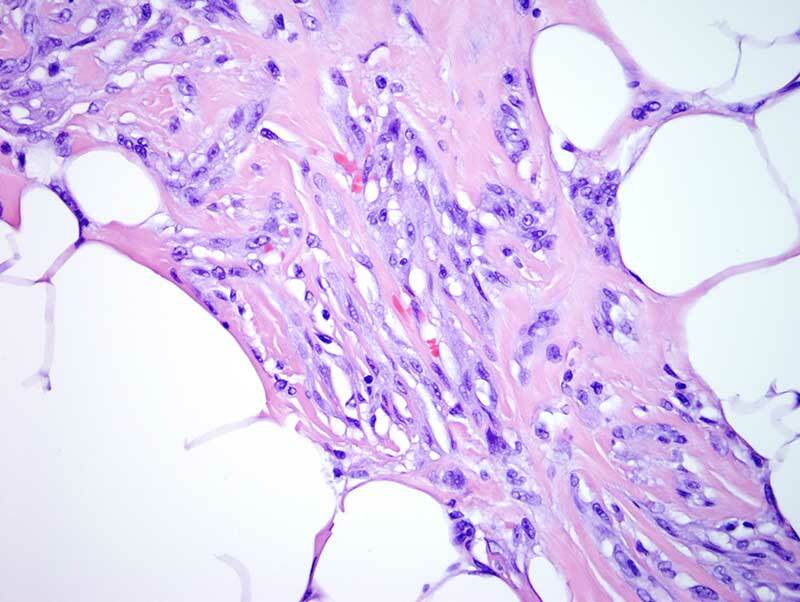 The fact that there is no specific identification of osteoclast-like giant cells a cardinal cell type encountered in plexiform fibrohistiocytic tumor does not rule out this particular diagnosis. 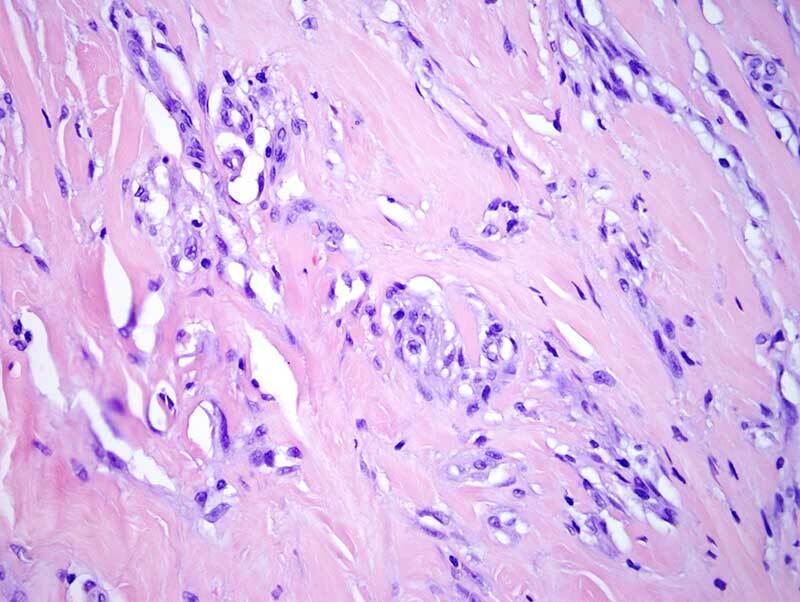 The focal staining for CD68 is a finding that is encountered in both cellular neurothekeoma as well as plexiform fibrohistiocytic tumor. These lesions typically occur in younger individuals with the most common location being the extremity. 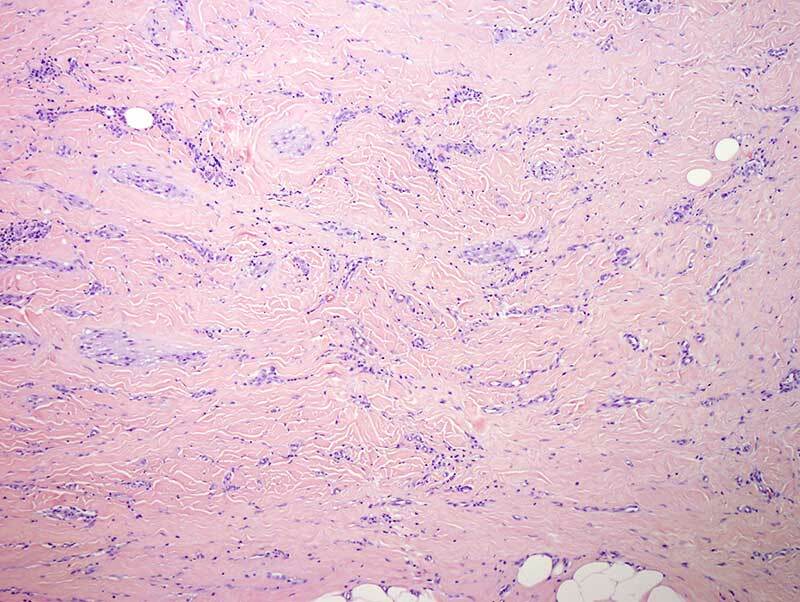 The dense hyalinization, absence of cellular pleomorphism and low mitotic activity are all features in the plexiform fibrohistiocytic tumor and well exemplified by this case. 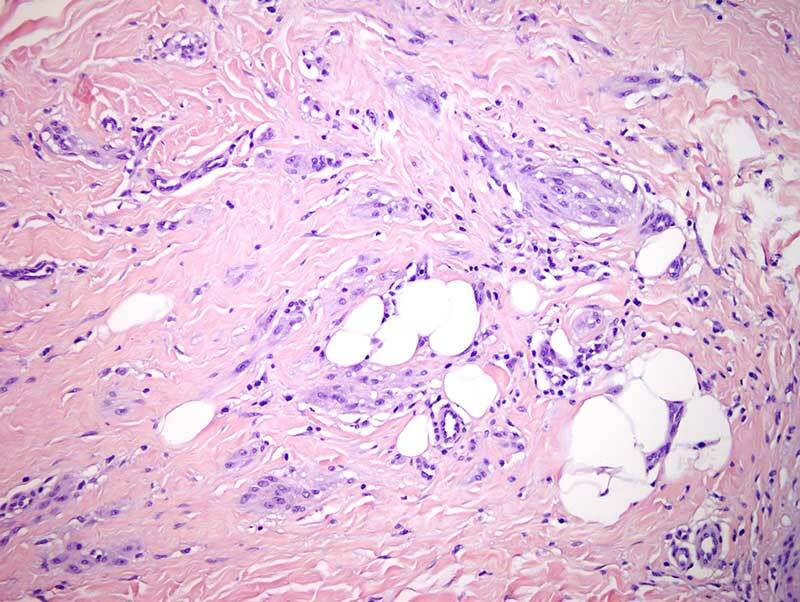 At times they can be associated with vascular invasion especially when they are recurrent or metastatic however in this case there is no clear cut vascular invasion. 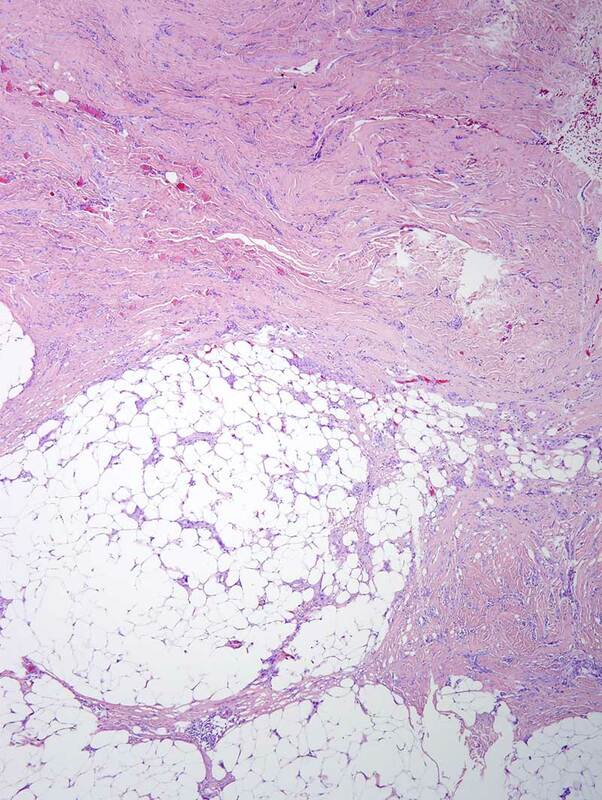 Complete removal is recommended since the lesions can recur and rarely metastasize similar to the extremely infrequent event of metastatic disease in cellular fibrohistiocytomas.